Black Sabbath have been nominated in the Best Rock category at the 2013 MTV Europe Music Awards, set for Amsterdam’s Ziggo Dome on November 10. Nominations for the event were revealed Tuesday, with Sabbath named in the category alongside Green Day, Queens Of The Stone Age, Kings Of Leon and The Killers. The band was recorded over two shows – April 29 and May 1 – in Melbourne, Australia during the early stages of the group’s world tour in support of its long-awaited reunion album, "13". 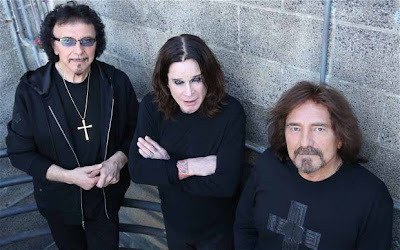 Black Sabbath just completed a North American tour in support of their new album, and will start a Latin American tour in Santiago, Chile on October 4.